Federal, State and Local governments can utilize American Wordata Inc’s GSA schedule to take advantage of discount pricing. Products offered on our GSA schedule include IT hardware solutions, storage and networking equipment. 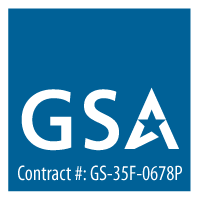 We have many GSA teaming agreements with partner companies if you were unable to find what you are looking for on our list of GSA products. Products Offered: General purpose commercial information technology equipment, software and services. Shipping Policy: All orders under $1000.00 are subject to shipping charges.